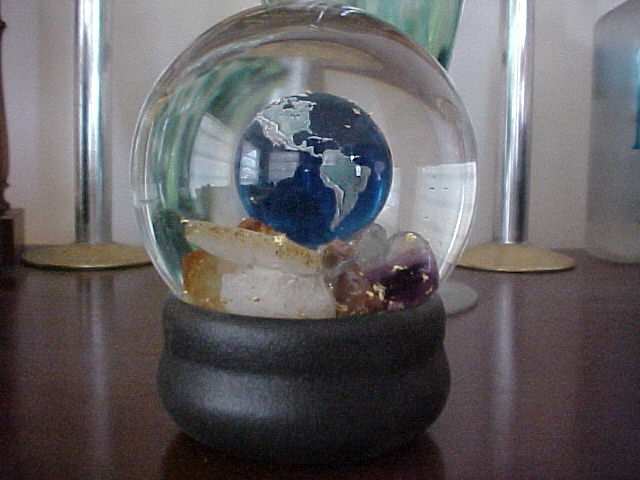 Ferrara Studios custom mineral and rock snow globes are made with rocks, minerals, precious stones, and crystals. 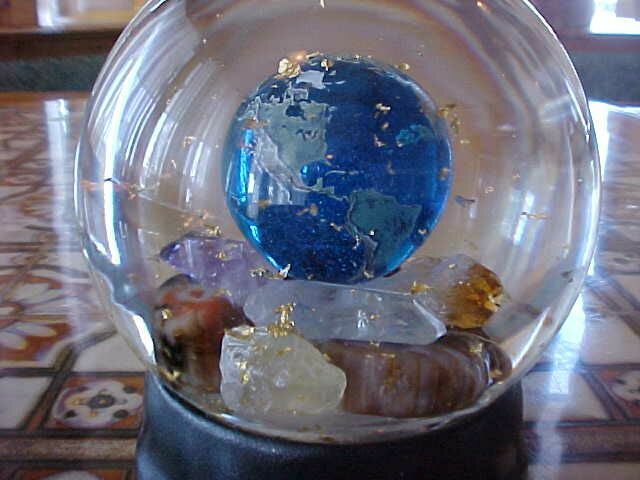 The globe center piece is planet earth which is hand made and displays all continents with full detail showing land masses, lakes, and rivers. 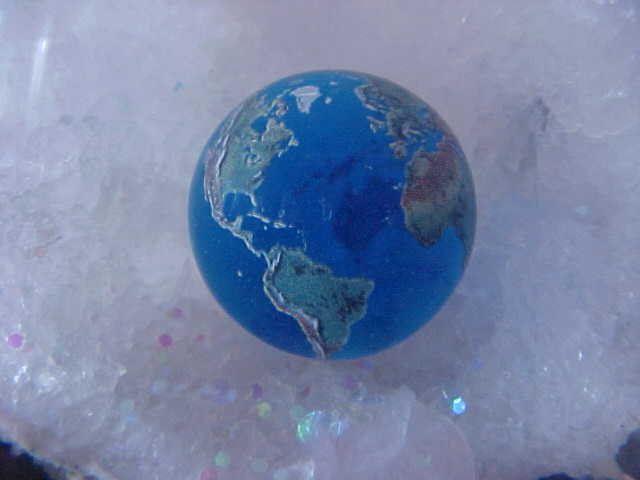 The planet earth is made from recycled glass and a part of the proceeds for each globe sold goes to environmental causes. Each globe is unique - no two are exactly alike. 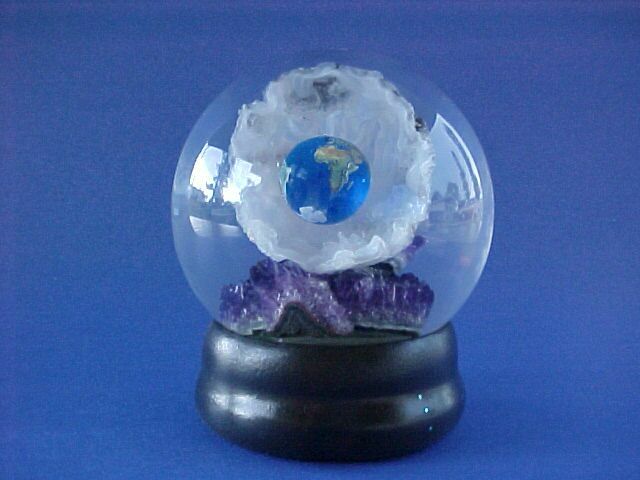 The hand blown glass globe is 5 inches high and 3 inches in diameter. The base is a black rubber compound. Please contact us with any questions or check our Ebay listings. Retail price is $45.00.